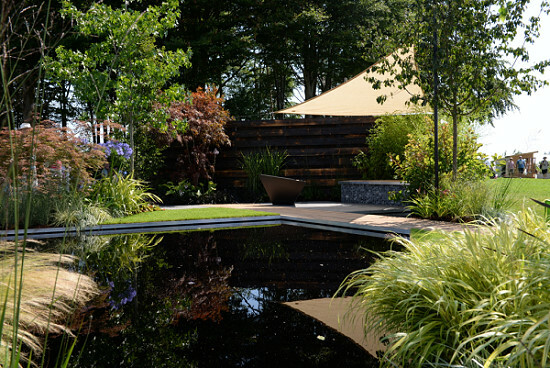 Whatever the size of your garden, the design and perfection built into it is our immediate concern. Meeting our customers expectations comes as standard. We always endeavour to exceed them! We aim to create a garden that is personal to you and your family, using your ideas and our expertise in Design and Build. Gardens are many things to many people, some are a place for quiet contemplation, while others are somewhere to enjoy with friends and family. 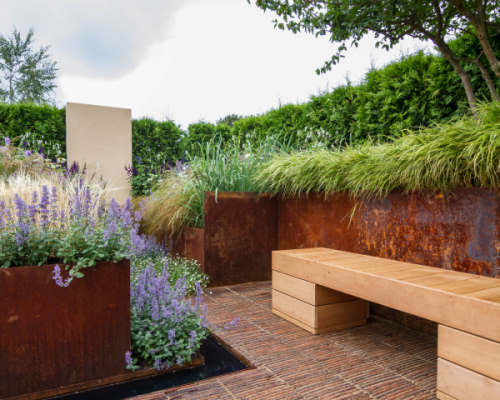 Gardens come in all shapes and sizes and all present a challenge to begin with and the thought of trying to make the most of the space can be quite daunting. Do you want a modern sparsely planted area, or a lush cottagey feel? Do you want rolling lawns or somewhere for the dogs or children to play? We will do our utmost to assist you in your quest for the outdoor space that you want or need. All the work is done in-house with the exception of some specialists who we bring in to maintain a high quality. RHS Tatton Park Flower Show 2014 and 2016 Gold Medal Winners. RHS Tatton Park Flower Show 2011 Silver Medal Winners. A measure of our success is in the number of client referrals we receive. We are dedicated to delivering you a high class, professional service, delivered from start to finish.